Nintendo’s next big mobile game release, Fire Emblem Heroes, is right on schedule for its planned Android release later this week. Unfortunately, the same can’t be said for the company's other planned mobile title, Animal Crossing. 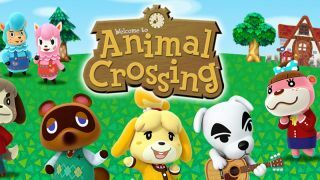 Nintendo had originally planned to release both Fire Emblem Heroes and Animal Crossing before the end of this fiscal year, but it’s now been announced that Animal Crossing is being pushed into the next fiscal year instead. Since the next fiscal year begins in April, we could expect to see the game released as soon as then. That said, the fiscal year runs through to the end of March 2018 – so by saying “This title will be released during the next fiscal year”, Nintendo has given itself a fairly wide window. The news of the delay came alongside the reveal of Nintendo’s third-quarter earnings, which saw the company report a net profit of 64.7 billion yen (about $569 million) from 174.3 billion yen ($1.5 billion) in revenue. As was expected, Pokemon Sun and Moon have proven to be the big earners for Nintendo, selling more than 15 million copies. In terms of its mobile titles to date, Nintendo revealed that Super Mario Run has now been downloaded more than 78 million times. According to Yuji Nakamura, Nintendo’s president Tatsumi Kimishima said that 5% of these downloaders paid for the full version of the game. It’s not an outstanding conversion rate, but it’s certainly not bad considering the app was only released on iOS. It’s likely the number of paid players will increase when the app is released on Android, and it sets an encouraging precedent for Nintendo’s other upcoming mobile releases.